The Office of Communications and Marketing wants to hear your news! If you have an idea for a news story, accomplishment, or initiative you believe will be of interest to the general public or the news media, please complete a Campus Accomplishments, Initiatives, and News (CAIN) Report at http://www.hssu.edu/CAIN. 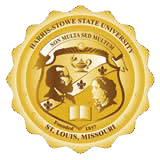 Your story may appear on the HSSU news site, be shared via social media, be developed for a press release and/or appear in a HSSU publication.